Who funded this negative ad campaign in the Florida governor’s race? We may never know. A pro-Andrew Gillum group got most of the money for its anti-Gwen Graham ad last month from a group that doesn’t have to disclose its donors. An out of state SuperPAC that funded a negative television ad campaign in May in the Florida governor’s race disclosed who paid for the campaign in filings Wednesday. The answer? That same group’s 501(c)(4) branch — which doesn’t have to disclose its donors. Collective SuperPAC, a group that supports Andrew Gillum, drew headlines last month for a TV advertisement that slammed Gillum’s fellow Democrat Gwen Graham for not being “the progressive she claims to be.” Graham called for the group to take the ad down, even threatening legal action. The SuperPAC is one arm of The Collective, a national organization that works to elect black candidates. The group has SuperPAC and PAC branches — which have to disclose their donors — and a 501(c)(4), Collective Future, which doesn’t. As of its April filings, Collective SuperPAC was some $600,000 short of financing the $782,000 ad campaign, which was slated to air in West Palm Beach and in cable markets throughout the state, per Politico. When asked by Times/Herald reporters where Collective SuperPAC would get the rest of the money from, The Collective’s executive director Quentin James said in a statement that the answer would come from the group’s May FEC filing. But that May filing shows that the SuperPAC got 742,720.00 — 95 percent of the cost of the ad campaign — from its own opaque 501(c)(4), Collective Future. In a May editorial published in the Miami Herald, James defended the ad campaign. “Graham falsely labeled our organization a ‘dark’ money group even though The Collective Super PAC reports its contributions and expenditures monthly to the Federal Elections Commission,” James wrote then. 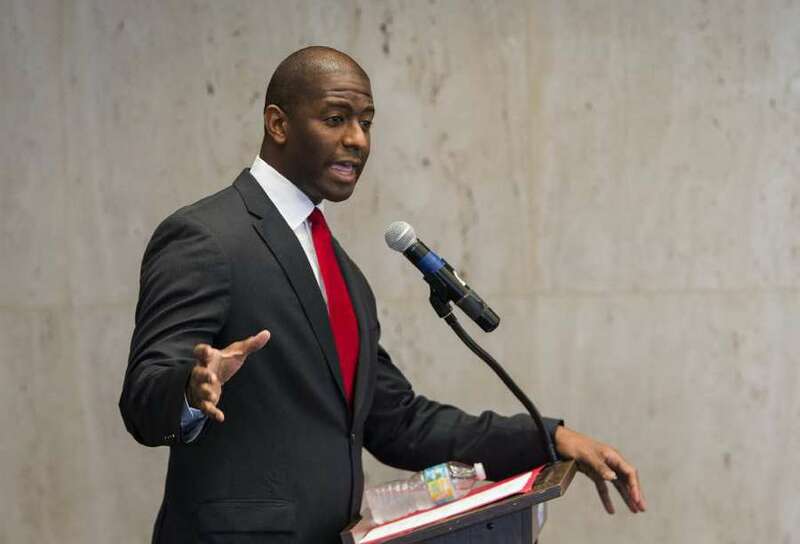 None of this activity appears to be illegal, but the degree to which Collective Future has supported Gillum has already raised questions this election cycle. Geoff Burgan, a Gillum spokesman, said in a statement that the campaign welcomes the Collective’s help. “They’re working to level the financial playing field between us and our multi-millionaire and billionaire opponents - one of whom has a net worth 11,000 times that of Andrew’s, and another whose income comes from her family’s stock holdings,” Burgan said. Related coverage: Who funds the group bankrolling this Democratic candidate for governor? UPDATE (12:30): This story has been updated with a statement from The Collective’s Quentin James. The Miami Herald’s David Smiley contributed reporting.